- The blog We Love DC has an interesting heat map showing rental rates across Greater Washington (at least, around the Capital Beltway.) Not surprisingly, the region's highest rents can be found in Northwest DC, Arlington and Bethesda, though it's interesting that even as rents increase in downtown Silver Spring, it's still cheaper than many other parts of the region - including Takoma Park, oddly enough. - If you're interested in transit and development issues in Silver Spring, there are three big meetings next week, two of which are on the same night. 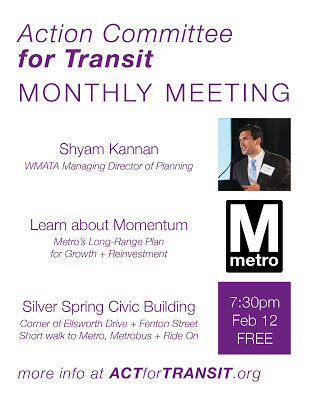 On Tuesday, the Action Committee for Transit hosts its monthly meeting with speaker Shyam Kannan, managing director of planning for WMATA. He'll be talking about Momentum, Metro's long-range plan for growth and investment. That meeting's at 7:30pm at the Silver Spring Civic Building, located at the corner of Ellsworth Drive and Fenton Street. 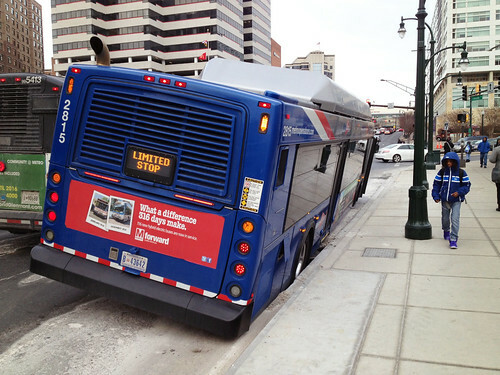 On Wednesday, the Coalition for Smarter Growth hosts a talk on Montgomery County's "Next Generation of Transit" with speakers Geoff Anderson of Smart Growth America and District 1 (that's Bethesda and Potomac) Councilmember Roger Berliner. That'll be from 6pm to 8pm, also at the Civic Building. And when you're done with that, head across the hall to a presentation from the Tower Companies, owners of The Blairs, about their plans to redevelop the massive 1960's-era apartment complex and shopping center across the street from the Silver Spring Metro station. I've briefly spoken to representatives from the developer and have plans to meet with them next week, and the little I've heard suggests this project could be a very big deal. The presentation will be at 7:30pm at the Civic Building, because of course that's where it is.